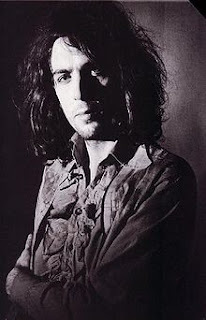 Today we honor the memory of one of rock’n’roll’s dearly departed, greatest of wacky gentlemen, Mr. Syd Barrett. These days he exists in the legend category of musicians, a status attained by many by virtue of not only their reputation for mentally residing on another planet but also their incredible talents. Personal imbalance aside, Syd was a talent, both in the early days of Pink Floyd and in his own right. The Madcap Laughs is a great encapsulation of what great music instability can create, and can be found the world over in the record collections of the hipper-than-thou. As with many bands of his generation, Syd and early Floyd paved the way for dozens of bands, inspiring creativity and far-outness. In honor of the life of Syd Barrett, here’s some music by, and inspired by, the man himself.